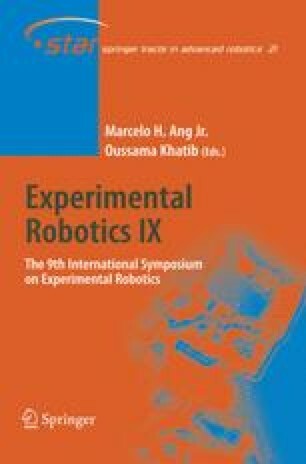 In this work we address the problem of controlling a ground robot based on aerial image feedback in real time. We present an analysis of the relationship between a robot’s ground velocity and the velocity of it’s projection in the image. We also show how a subset of the parameters of the homography relating the ground plane and the image plane can be extracted from motion correspondences and subsequently used in a sample control task. Further, we extend our analysis to the case of robot control from a moving overhead camera using image feedback. The experimental implementation and validation of the schemes we have presented is one of the central goals of this paper.